Brand Virgo Uap Pharma Pvt. 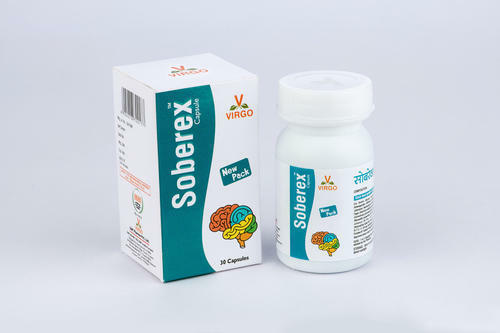 Soberex capsule is for reduces stress level & tones up nerves. It induces sound sleep & controls blood pressure. Recharges brain cell energy effeictively. Reduces mental weakness & giddiness. Relieves mental & physical fatigue. Improves memory and helps better concentration.